Here at Robinson’s Shoes, we have a variety of waterproof solutions including shoes that feature Gore-Tex® footwear technology. We often have customer’s ask us what exactly is Gore-Tex®, and more importantly, will it keep their feet dry and at a comfortable temperature. This blog answers those questions. We also highlight a few of our favourite Gore-Tex® shoes, and how to care for them. 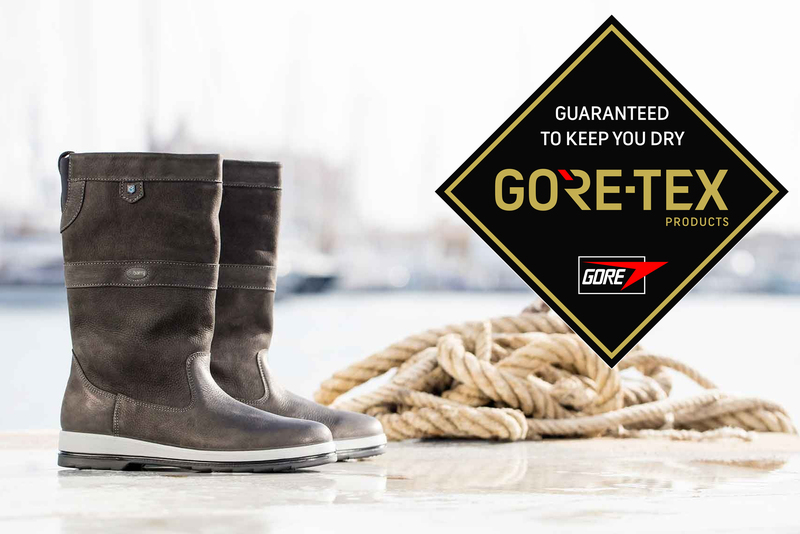 Gore-tex® provides breathable, comfortable waterproof protection for all you do, from outdoor adventures to city walks. Making it the ultimate waterproof lining membrane for performance footwear. It is world renowned for its durable waterproof and highly breathable bi-component material. Essentially the membrane stops liquid water but allows vapour to pass through. This means Gore-Tex keeps you dry from not just puddles, but also the water vapour you make while sweating. How to care for Gore-tex® footwear? Outdoor adventures can lead to damaged shoes. Follow the advice below to ensure you keep your Gore-Tex® shoes longer. Don’t expose your Gore-Tex® shoes to direct heat. Lay them upside down with some newspaper inside to dry, this helps them maintain their shape. Need men’s ankle boots with a mix of clever design and casual style? 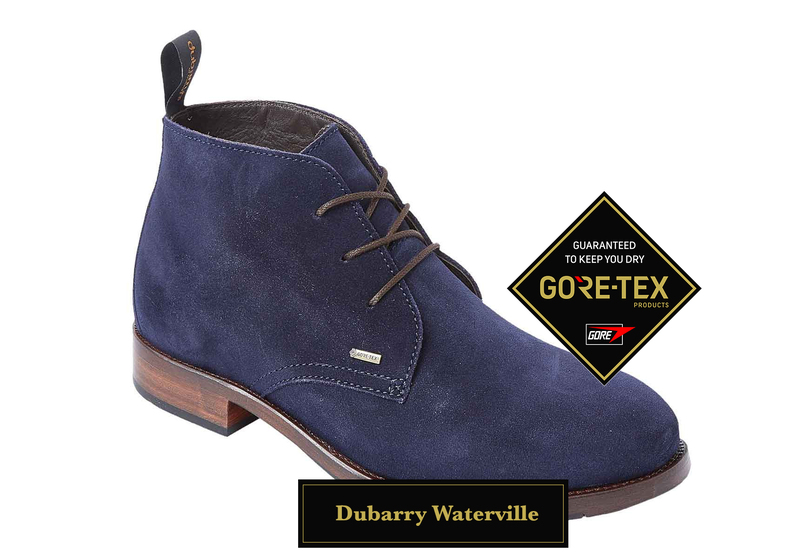 You need the Dubarry Waterville waterproof men’s boots. They feature a breathable Gore-Tex® lining for all-day comfort, three-eye tie with waxed fabric laces, thermal foil lining to protect your feet from the cold, and a hand-built sole unit. Stylish and functional deck shoes can be hard to come by – you want something that offers you the practicality of deck shoes, but with a style that allows you to easily transition from onshore to offshore effortlessly. What you need are the Dubarry Mariner hand-sewn moccasins for adding that extra sophisticated edge. These leather men’s deck shoes are a traditional three-eye tie slip on shoe, with a Gore-Tex® lining and a light sole. Dubarry Roscommon leather boots are stylish waterproof ankle boots, which are easy to style and wear all year round to complete the country look. These quality leather ankle boots, suitable for both men and women, are available in two classic colours for you to choose from – walnut or black, and either will make a great choice for your footwear collection. 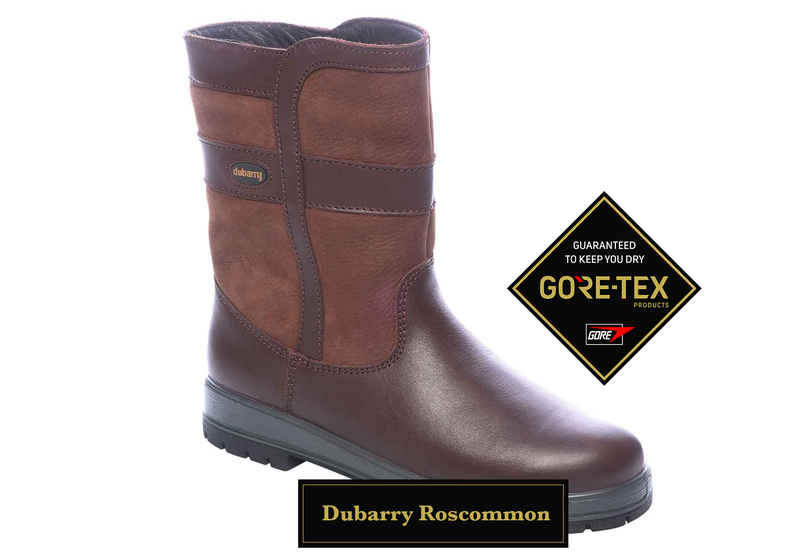 The Dubarry Roscommon boots also enjoy a breathable Gore-Tex® lining, a duo compound PU and rubber sole, and a finger pull fitted inside of the boot for ease of entry. Order yours today. 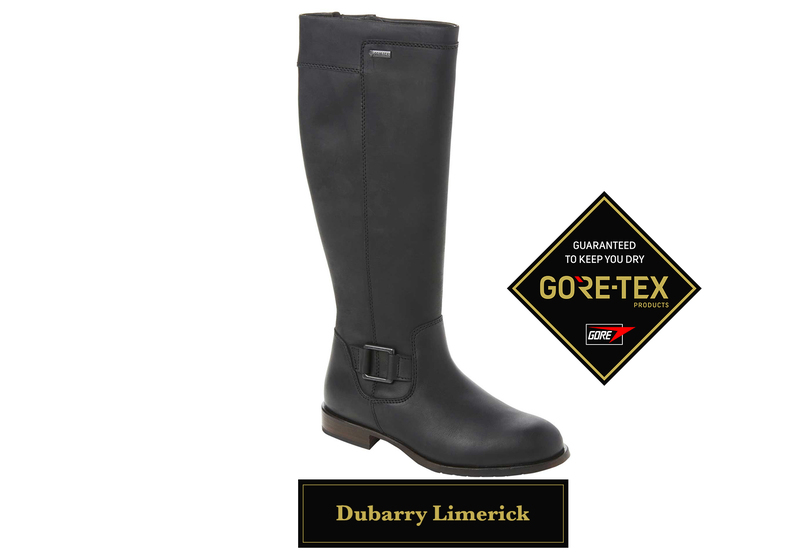 The Dubarry Limerick are clever boots which incorporate high-performance technology and of course, Dubarry’s signature DrySoft-DryFast™ leathers. Other design features which we think you’ll love include the buckle detail, the sleek and contoured shape giving you a great silhouette, a leather stacked heel and full-length zip. Spring is almost upon us, and here in the UK, it comes the promise of temperamental weather. From beautiful sunny days to torrential rain and everything in-between. This makes Spring the perfect time to invest in a sturdy waterproof shoe. 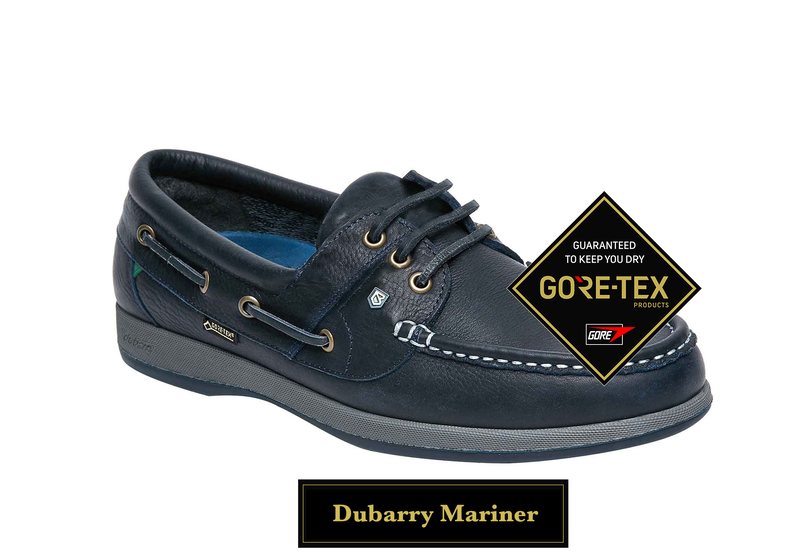 Check out our full range of Gore-Tex® shoes, available for both male and female in a range of styles.